Busby’s biography is as much forensic exercise as literary reclamation. He is only interested in the facts of Glassco’s life and work that can be corroborated. The level of cross-checking he had to do must have been drink-inducing. But it pays off with a book that gives a lively and accurate account of a Canadian writer who was at one point one of the country’s most significant translators and who remains iconic because of his famous fictionalized memoir. Glassco died young? As I creep up in age, seventy-one no longer seems so ancient. But still. 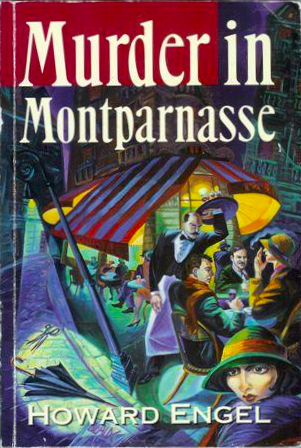 I've always meant to read Murder in Montparnasse, if only to see whether Glassco, Taylor, Callaghan, McAlmon and other fixtures of that time and place feature in its pages. I had no idea that the protagonist of the 1992 mystery is based on Glassco; no one else has ever made the connection. To be honest, nothing in Ms Cannon's writing convinces me that this is so. You'll forgive me, I hope, for pointing out that she botches the title of Glassco's memoirs. 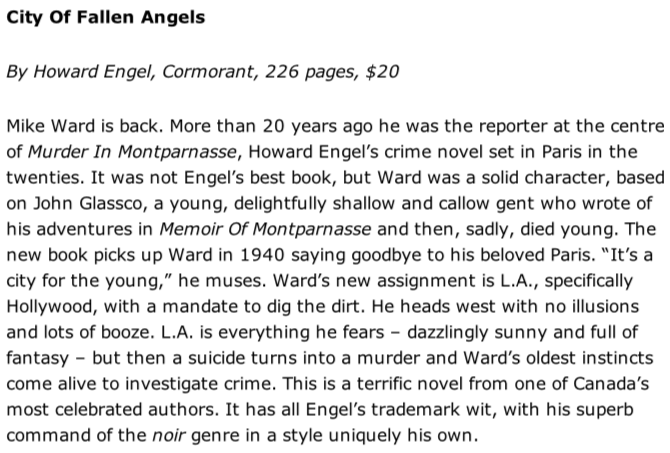 Still, I'll make a point of reading Engel's mystery. A decade or so ago, when I began work on what would become A Gentleman of Pleasure, a fellow writer cautioned. "Do this and Glassco will always be with you," he said. "The biographer's subject haunts." He himself had written the biography of a man whom he'd come to despise. His experience is not mine. Indeed, in all of us. Cross-posted, with some changes, at The Dusty Bookcase.